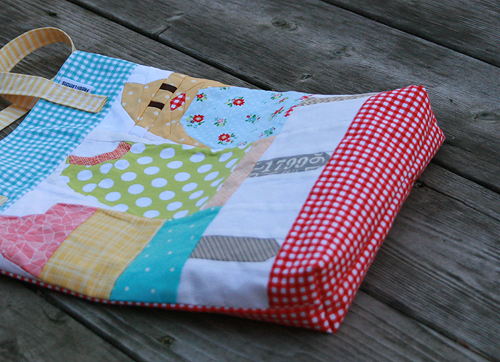 I'm not sure if I said my Weekender was the last bag I'd make for awhile. If I did, I guess I lied. ;) While I was at Quilt Camp, I was lucky enough to sit across from the very talented Amanda of Sasikirana Handmade. Everything she makes is so.stinking.cute. 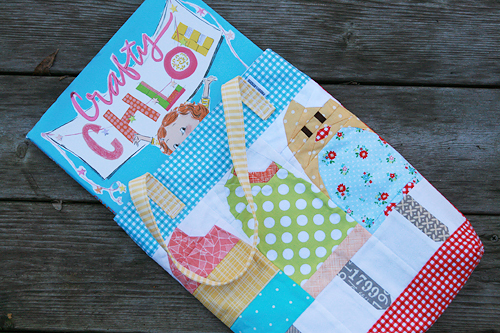 She has such great talent when it comes to fabric selection and fussy cutting prints perfectly. So as I was sitting across from her, I decided I just had to make something cute. 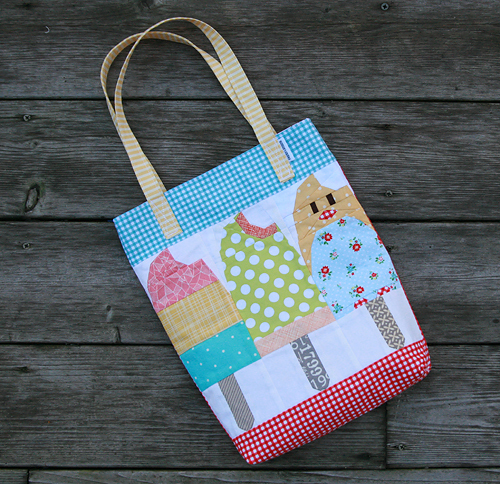 I have been looking for an excuse to make Ayumi Takahashi's Popsicle pattern for awhile now and decided to use it to make my daughter a tote bag for Christmas. 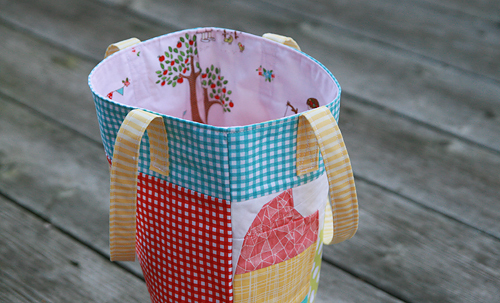 Ayumi blogs at the Pink Penguin and has created a ton of amazing paper piecing patterns. Paper piecing the popsicles wasn't too hard, although I did mess up a couple components and had to redo them. That little nose is super tiny! Overall though, it was a huge success. 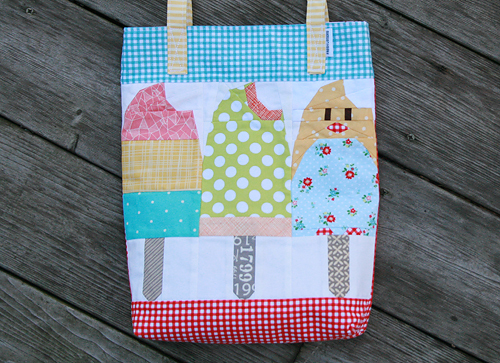 I added a bit of fabric from Tasha's fabric line The Sweetest Thing above and below the popsicles and to the back of the tote. I used another print on the lining. It's really, well, the sweetest thing! The straps are a stripe from Bonnie & Camille's Marmalade fabric line. 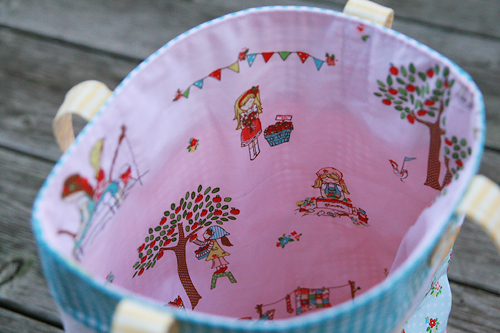 I sort of just made up the tote pattern as I went along. I felt like I've made enough bags that I would be successful. I added little gussets to the bottom so it stands on it's own. I managed to sew this entire thing, with my daughter in the room, and she never once came over to see what I was doing. I think it will be a great surprise under the tree on Christmas!